Our SDB World Fed Conference brethren in Andhra Pradesh, India reported with Joy that a brother donated land in Yazalli Village to the church for the purpose of constructing a place for worship. This is a giant step in their dream coming to fruition. 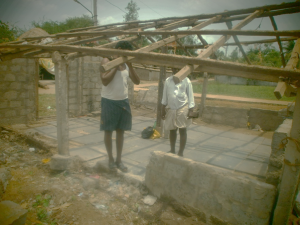 Due to the huge expense to construct a permanent building, they have decided to complete a temporary structure but they still must solicit parnerships to realize their dream. 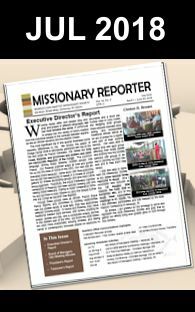 It is projected that this project will cost about $1,200, of which they are working to accumulate $200 from church offerings. Hence, they are seeking donations totalling $1,000 for completing their meeting house. 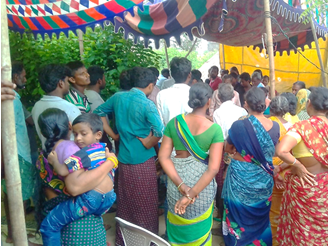 Please, consider praying & partnering with our brethren in Andhra Pradesh, India as they work to complete a meeting house, bringing glory to God.